Whimsical. Simple. Thankful. Profound. One day at a time, one prayer at a time, a busy working mother and playful six-year-old daughter transformed their bedtime prayers. They started rushed and tired. Distracted. “It’s late. Let’s go.” And then, gradually, something happened. A thank you here. A vulnerable moment there. The perfunctory prayers became... opportunities. “What did you do today? What did you learn? Anything else?” Like a window into their relationship, their prayers and reflections let us witness the growth, enjoy the childlikeness, and learn from their winsome faith. 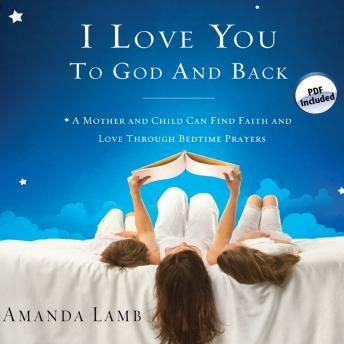 Discover how you and your child can find connection, humor, and a deeper understanding of God in the quiet last few minutes of each day.